Graf Carat tank 6500 litre Complete rainwater harvesting System 4 for domestic use with Rain Director rainwater management. Designed for the larger garden or household with greater storage capacity. 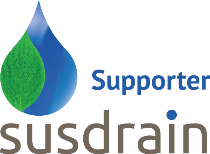 Use rainwater to flush toilets, fill washing machines and water the garden. Graf Carat Tank 6500 litres rainwater harvesting system for garden and domestic use with Rain Director. Collect rainwater, store it and use it safely in the home. 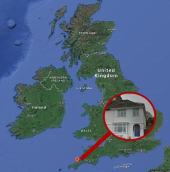 This system is supplied with a RWH-RHD01 Rain Director® - the intelligent way to use rainwater in the home. The main benefits of this system are reduced electricity consumption, lower mains water usage, cleaner tank water and controlled water pressure at the appliances. 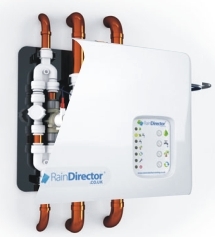 The Rain Director 12v Valve Control Panel controls the water delivery - whether rainwater or mains water. The Rain Director®’s Control Panel provides a simple set of buttons to set the operation. For example, the Rain Director’s auto-flush function detects when the occupant is away from home (for example, for holidays) and empties header tank to avoid rainwater there becoming discoloured (dark coloured water and stained toilet bowl, to be avoided). For more information on all functions, fitting and benefits, please download this Rain Director® User Manual.